Are you currently looking for salon jobs in Fort Worth, Grapevine, Arlington or Mansfield? We can definitely help you here at Salon and Spa Galleria. We have many different size salon suites available. We have suites for rent which can be like owning your very own business. If you are looking for salon jobs in Keller or Irving we can also accommodate your needs and commute for you and your clients. We are not just looking for stylists we are also looking for a variety of beauty professionals in our salons. Bring your clientele and talents and see what we can offer you at our many locations. Whichever location best works for you, we can help you in how to own your own beauty salon and give you the tools to be successful. If you have built a loyal and “magical” customer base, then you are going to thrive better financially with booth rental. We offer the best move in specials out there in the beauty industry, and we have some of the most beautiful suites and facilities around, why we are rated number one. Take a tour at any of our locations and see how you like our top of the line salon and spas. We do have wash and dryers available on site as well as 24-hour surveillance and 24-hour access to the building for you and your client’s safety on those late nights. All of our suites are customizable to decorate and even paint how you like. If you have a suite you can sell product right out of your suite to increase your revenue. We would love to add you to our team of professionals and see how you would like running your own business. Give our leasing manager a call today and set up a tour at Spa Galleria and see which location best fits you. Wanting to own your own hair salon one day but do not know how to start? 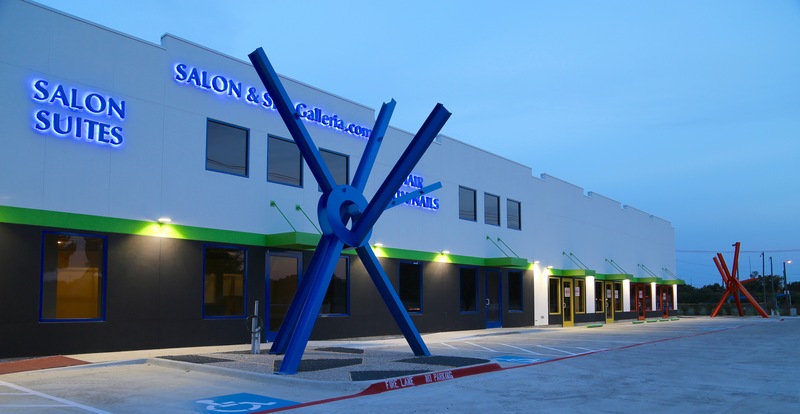 By renting a suite with Salon and Spa Galleria you can start your business but at the same time work in a salon. Each suite we have for rent is a business so you can decorate and sell product right out of your suite like a regular business and according to all new found statistics by selling your own product you can increase your revenue by 5 to 15 percent. Having a hair studio of your own is every stylist’s dream and you can make that dream come true. If you are one day wanting to own your own salon, we act as a middle stepping stone to owning your business. We get you out of that commission-based salon and into something that is yours. We have hair salons in Arlington, Fort Worth, Grapevine, and Mansfield. If you are looking for hair salons anywhere in the DFW area make the drive to one of our locations and see what we have to offer you and your future business. Just contact our leasing manager to set up a tour of any location that catches your eye and gets started in your future today!